Chop veggies into large pieces and pour into the slow cooker. 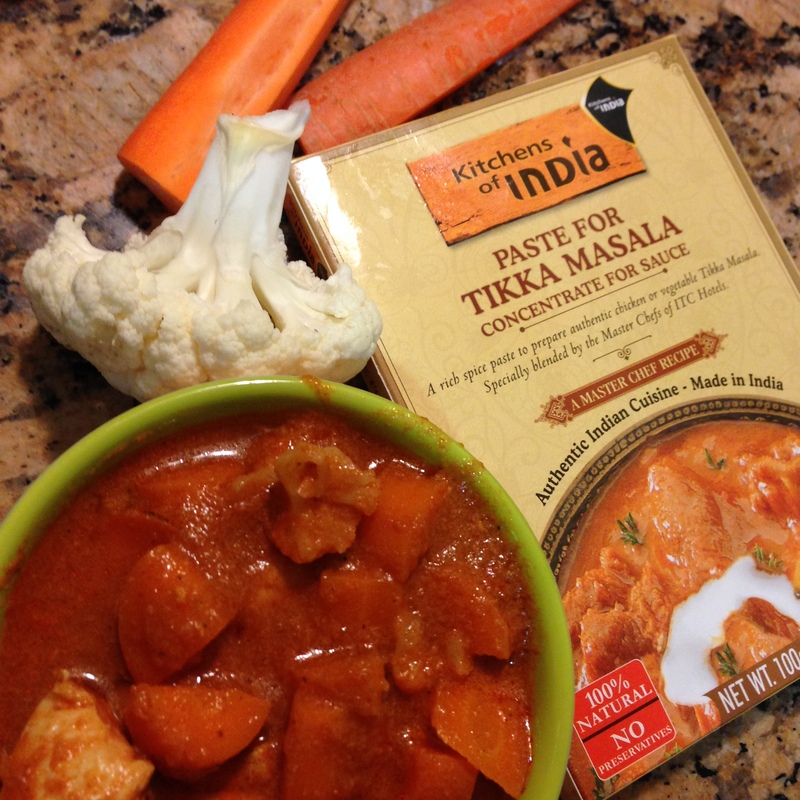 Mix tikka masala packet with milk until the paste is integrated well. Pour the masala sauce on top. Cook on low for 6-8 hours. you may want to stir once around 5 hours.